Easy to use, just peel and stick. DIY item. Sheet size:19.6"x27.5", finish size as picture:24.5"x40.1". Best decoration art decor for kids bedroom nursery room or school. 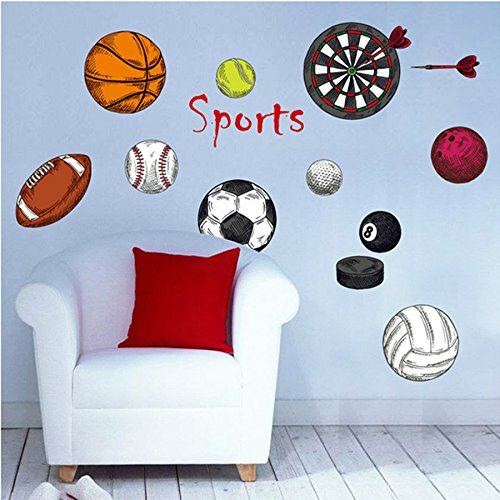 3D sprot ball wall decal for kids room.